Just because you’ve been working in the same warehouse for years, doesn’t mean you’re not at risk of getting a seriously injury. Wholly 70% of all industrial warehouse injuries involve accidents by a well-trained, experienced professional. No matter what kind of warehouse you’re working in, you should always do everything you can to ensure you and everyone else in the building are following safety precautions. Here are a few ways to prevent workplace injuries from slipping, tripping, and falling. In order to fully ensure that your entire warehouse is safe to work in, you need to make sure that your floors are properly cleaned. Just taking a a mop and broom to your floors will not even come close to accomplishing everything you’ll need to prevent serious slip, trip, and fall injuries. 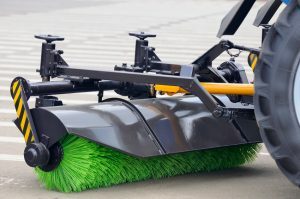 Consulting with a professional cleaning service company, that has quality industrial floor scrubbers and other four cleaning machines will help you identify any problems and concerns in your warehouse and you’ll be able to keep your warehouse safe and secure. Although using industrial floor scrubbers can significantly decrease the amount of slip, trip, and fall injuries, you’ll have to spend some time cleaning up around the building as well to ensure total safety. Be sure to keep all parking lots, walkways, and outdoor work areas as level as possible to prevent water puddles from forming. If the outside area next to your warehouse is covered in wet spots, the chances of you or anyone you work with falling and getting inured significantly increases. Poor lighting in the workplace can contribute to an increase in fall injures as well. You should have every hallway, office, and bathroom sufficiently lit and have plenty of lights for the main workspace. These industrial warehouses can often be extremely large, making them difficult to light, but in order to keep you and your coworkers safe, you’ll need to have plenty of lights all over your property. If you want to keep your office clean and prevent slip and fall injuries, contact System Clean Inc today.